Do you employ 249 staff or fewer? Would your care and support staff benefit from training to promote positive behaviours in adult social care settings? Are you interested in receiving this training free of charge? Hoople’s FREE ‘Promote Positive Behaviours’ course gives staff the knowledge, understanding and skills to promote positive behaviour and to respond appropriately to episodes or incidents that could be seen as challenging. For further information, please download a copy of our information flyer! 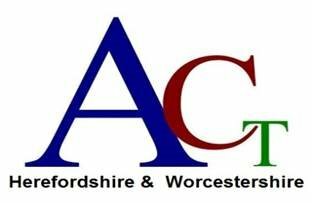 Come and join us at this FREE forum, jointly hosted by ACT and Hoople. Hear the latest activity update from ACT, including information on Workforce Development Funding and new healthcare standards and qualifications. Find out how the Apprenticeship Levy will affect all businesses, regardless of size and how YOU can access full funding for health and social care related training. Click here to find out more or to register your place. When not being used for our own training and development programmes, Hoople's Churchill House training centre is now available for hire by external organisations at competitive half and full-day rates. Evening hire is also available. Churchill House is located within the heart of Herefordshire’s education sector in beautiful parkland offering panoramic views of Hereford city centre. The centre is a characterful Grade II listed building comprising several fully equipped training and meeting rooms. For more details, contact our Training team. For further information, including details and rates for all rooms, please download a copy of our facilities hire brochure! If you would like any additional clarification or help, please contact Ali Chambers or Caroline Reading in the Training team. For full details on our scheduled programmes, please visit CPD Online. All courses can also be delivered at your own venue to a group of your team members. Please contact us for more details and pricing information. Copyright © 2017 Hoople Ltd, all rights reserved.